Parents of 4-year-olds, kindergartners and 3rd graders are to arrive at 6:00 p.m. for their meeting at TNSM. We are hosting an evening called NEXT STEP. 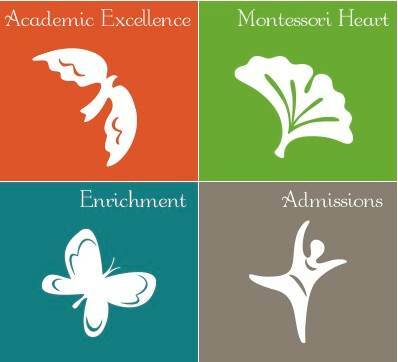 The evening is designed to provide information for parents with children who will be transitioning into a new level at The New School Montessori. In other words, if you child will be a Kindergartener, 1st grader, or 4th grader next year, you are encouraged to attend our NEXT STEP meeting. The evening will begin in the Growing Room at 6:00 p.m. During that time there will a 15 minute presentation and a short video. At 6:30 parents will divide up and gather in prospective classroom environments for a 30-minute information and Q&A session. This is a great way to see what it is to come for your child next year both socially and academically. It is also an opportunity for you to get to know the teachers if your child is graduating into the (6-9) or (9-12) program. Child care will be provided. (3-6) childcare will gather in the Buckeye Room and the (6-12) Child care will gather in the Enrichment Center. Parents of kindergartners and 3rd graders are to arrive at 6:00 p.m. for their meeting at TNSM. We are hosting an evening called NEXT STEP. The evening is designed to provide information for parents with children who will be transitioning into a new elementary level at The New School Montessori. In other words, if you child will be a 1st grader or 4th grader next year, you are encouraged to attend our NEXT STEP meeting. Child care will be provided. (3-6) childcare will gather in the Buckeye Room and the (6-12) Child care will gather in the Annex.